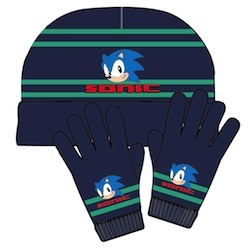 SEGA Europe have partnered up with TVMania to release a new range of Sonic-branded clothing and accessories. The hedgehog’s face will be plastered over items such as t-shirts and socks and are slated to hit retail store shelves in Germany, Austria and Switzerland at some point in July and August. The range will be for all ages ranging from babies to adults, so there should be something for everyone! Full press release after the jump! Interested in expanding your Sonic sock collection? 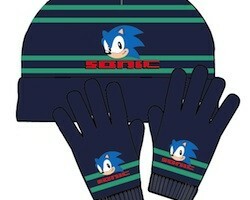 Looking forward to sporting some fetching Sonic gloves? Let us know below! < Previous Post Previous post: Hardlight Working on Sonic Dash for iOS? It would be cool to see this for Tails and Knuckles, as unlikely as that would be. uh winter has gone where i live so…. WHY ME! Cool apparel. Too bad it’s not available in the U.S.
What I’m wondering is if TVMania has anything to do with television. Is it wrong for me to take this as a possible sign of a new Sonic TV show? That could be quite possible, but if that is true I am sure the writer of this post would have said something concerning it. It could just be a coincidence. Just merchandisers of branded stuff. I honestly doubt it’s anything to do with a new show, unfortunately! Just shut up and TAKE IT! You liked it last time when you had that Generations collectors edition! Breaking out the classic Sonic model! 😀 Loving it!